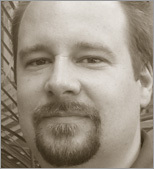 Jim Van Meggelen is a founding partner and CTO of ClearlyCore Inc., a Canadian-based provider of open-source telephony solutions. He has over twenty-five years of enterprise telecom experience, with extensive knowledge of both legacy and VoIP equipment. Jim was the architect of two of the world's largest managed enterprise voice networks; each solution serving roughly twenty-thousand users in more than one-thousand communities across Canada, providing telecommunications in five different languages, through six time zones, administered completely from a central location. These networks pioneered the use of extensive automation and database control in a branch voice network - functionalities not generally available in proprietary telecommunications systems. Jim has now moved on from the world of proprietary telecom, and is committed to open-source telephony. Jim is one of the principal contributors to the Asterisk Documentation Project, and is co-author of the bestselling O'Reilly book, Asterisk: The Definitive Guide.